The International Hansa Class Association has announced that the 2017 Hansa Class Combined Asia-Pacific Championships will be held in Geelong, Australia. “We are delighted that the Royal Geelong Yacht Club has offered to conduct our 2017 Asia-Pacific Championships”, said IHCA President Russell Phillips. “RGYC hosts the annual Festival of Sail, one of Australia’s largest and longest running sailing events, and they have run a number of Class World Championships, so we are confident the 2017 Asia-Pacifics will be a highly successful event”, he said. 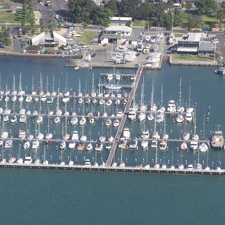 The Royal Geelong Yacht Club is on the shores of Corio Bay, offering a large expanse of open but protected water. Geelong and the Bellarine Peninsula is a popular tourism destination, located about one hour from the city of Melbourne and its international airport. The event will be held over the Easter holiday weekend, from April 14-17 next year. In addition, the Australian and Victorian Championships for each of these classes will be held in conjunction with Asia-Pacifics. 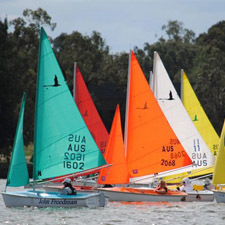 The inclusive Hansa Classes are a group of small keelboats designed by Australian Chris Mitchell. They enable sailors of all ages and abilities to enjoy sailing and competing together. RGYC has a superb location on the water’s edge facing north over Corio Bay and boasts a large members’ lounge, bar and café with expansive outdoor decks for great social occasions. It is conveniently located on the fascinating Geelong waterfront, only a short walk from the city centre. The club’s marina offers 250 secure berths with storage for another 45 yachts on the hardstand. There are also slipway and boat maintenance facilities on site. The Festival of Sails, held at the end of January every year at RGYC, is the largest keelboat regatta in the southern hemisphere. The Festival includes a shore based community event that attracts 100,000 visitors each year. The club also presents the Wooden Boat Festival every second year. It is easy to get to Geelong by Air, Rail, Road or Sea. Avalon Airport is 20 minutes from Geelong and the trip from Melbourne Airport takes an hour. You can collect a rental car or take the shuttle bus from either airport to central Geelong, close to RGYC. Regular rail services operate between Melbourne’s Southern Cross Station and Geelong, and buses connect central Geelong with the suburbs and villages of The Bellarine Peninsula. By road, Geelong is only an hour from the Melbourne CBD via the Westgate and Princes Freeways, and Bellarine destinations are within half an hour of Geelong. It’s a compact region, easy to explore by car. Australia’s favourite car and passenger ferry connects Queenscliff and The Bellarine with the Mornington Peninsula, Eastern suburbs of Melbourne and Phillip Island. The journey regularly encounters dolphins and other marine life. The lounge and external decks all offer spectacular coastal views as passengers relax and enjoy a coffee and the scenery. There is a wide variety of accommodation types near to the event venue – camping parks, motels, B&Bs and from economy through to luxury hotels. 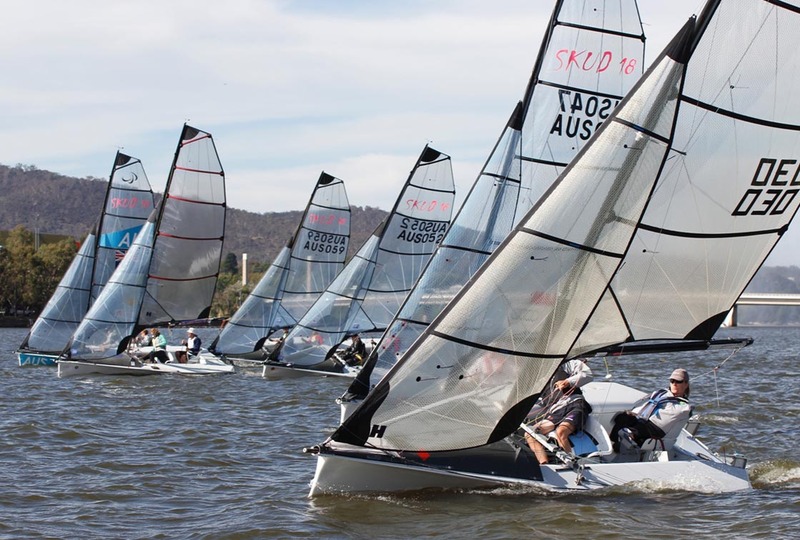 “Australia has some very talented sailors in all the Hansa classes, but with competitors expected to travel from New Zealand, Japan, Malaysia and Singapore for the championships, we should see some keen racing”, said the IHCA President. Further event information will be posted on this website . To visit the club and tourism websites, go to www.rgyc.com.au and www.visitgeelongbellarine.com.au.